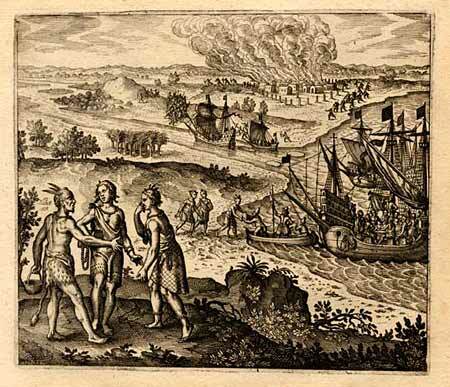 Historians agree that Captain John Smith was the savior of the Colony. Since Pocahontas saved Smith’s life, therefore she is responsible the survival of the colony. 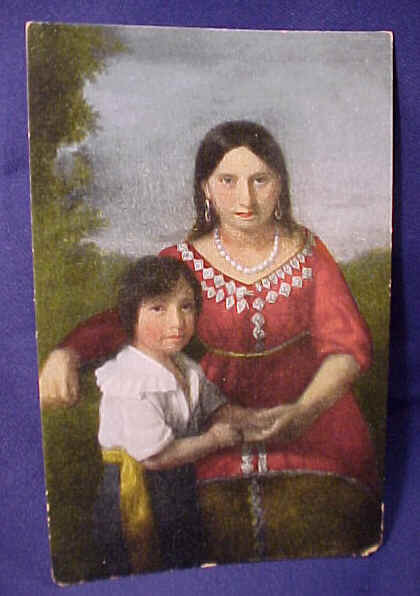 This Sedgeford portrait of Pocahontas and her son, Thomas Rolfe, carefully preserved through the centuries, although its travels and whereabouts have been been shrouded in mystery. Presently at Kings Lynn Museum. It is believed the bereaved John Rolfe brought this portrait with him from England to his home here on the edge of the wilderness. The picture may have hung on the wall of one of Virginia’s stately Colonial mansions and been taken back to england at some time. When reaching adulthood, Thomas Rolfe came to Virginia and assumed his fathers lands and possessions. He may have shipped the painting back to England, possibly to the Heacham Hall estate, which had been in the Rolfe family hundreds of years before John was born. It is known that the painting was sold at about the turn of the present century, the canvas was removed to Sedgeford, another Rolfe property. That the painting was carefully preserved proves, however, that its value to the Rolfe ancestors. The earrings worn by Pocahontas in the picture are in existence today and are the only personal belongings of Powhatan’s daughter known to have survived the long intervening centuries. They have been handed down carefully in the Rolfe family from father to son for generations and are owned now by Robert Girdlestone Meggy of Brooklyn, New York. John Rolfe in 1614 and may have received these earrings on a trip to London right before her death in 1617. The earrings were handed down through the Rolfe family and now belong to the Association for Preservation of Virginia Antiquities. Each earring is formed of a double mussel-shell, the rare white kind found only the eastern shore of Berings Strait. They are set in silver rims, inlaid with mother-of-pearl, and are worth approximately $500,000. 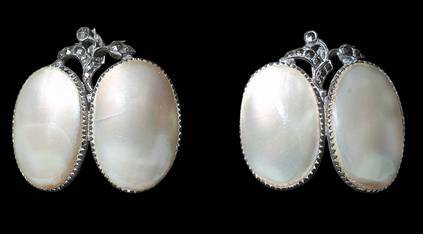 Double shell earrings were worn very generally among the American Indians we are told, but the white variety was reserved exclusively for the adornment of priests and princes. These royal jewels are set in silver rims, inlaid with small steel points. This mounting, it is thought, suggests that they were set, or re-set, in England. The latter assumption is more or less confirmed by an old tale concerning these valuable ornaments. It is declared that they were reset in England for Pocahontas by that Duke of Northumberland who was the brother of George Percy the colonist, who wrote “The Trewe Relacyon of What Happened in Virginia.” This document is a letter from the emigrant to his brother, the nobleman, who remained at home. Many Virginians have seen these famous earrings, for they were on exhibition at the World’s Fair in Chicago in 1893, and were shown again at the Jamestown Exposition in 1907. Only a few months ago the officers of the A. P. V. A. had them on private view at the John Marshall House, where they would become a part of the permanent exhibit were the association able to acquire them by purchase. When Pocahontas died and was buried at Gravesend, her small son was left by his father in the care of the little boy’s uncle, Henry Rolfe, with whom he lived until maturity. The descendants of this Henry Rolfe were know as the Rolfe’s of Essex, the last member of this branch of the family being J. Girdlestone Rolfe. His second wife was Isabella Golden Clark, to whom he gave the earrings at the time of their marriage in 1923, and she bequeathed the precious earrings to her sister, Mrs. Jessie Hodgson Meggy. In this way they went out of the Rolfe family. The present owner inherited them from his mother, who had obtained them from her sister, Mrs. Rolfe. 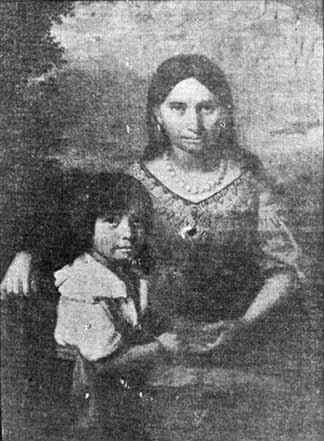 B&W copy of the of Pocahontas and her son, Thomas Rolfe. See information above. It is presently at Kings Lynn Museum. A drawing of Pocahontas was made in England when she was 20 years old. 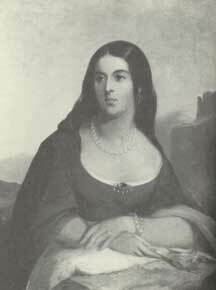 In 1793, the above Pocahontas portrait was produced as a black and white engraving made from the drawings now lost. This was colorized into a oil portrait of Pocahontas by William L. Sheppard in 1891 as seen below. Historic portrait made in 1891 of the 1793 engraving above. 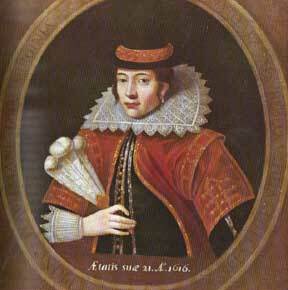 This shows Pocahontas in London, at age 20, dressed for the court of King James. She died within months of her . This portrait hangs in the National Portrait Gallery of the Smithsonian, in Washington, D.C.. This painting does not capture her celebrated innocence. Thomas Sully (1783-1872), one of the best early American painters, was born at Hornecastle, England. Later his home was Philadelphia. In 1837 he was in London to paint a portrait of Queen Victoria for the St. George Society of Philadelphia. He died in Philadelphia in 1872. He painted over 2,000 portraits including Stephen Decatur, Lafayette, and Thomas Jefferson. 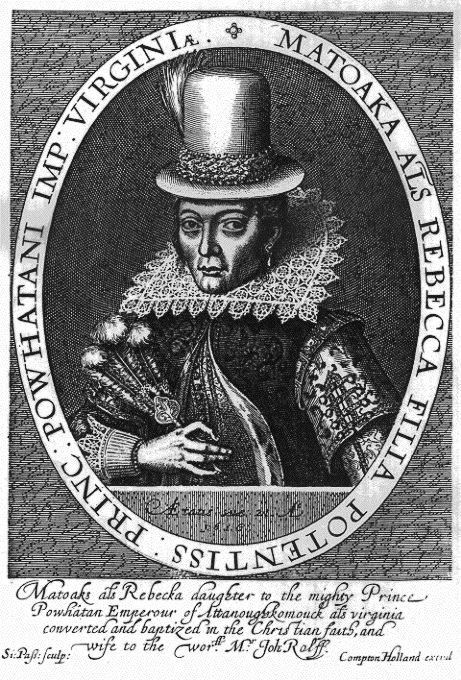 It is not known what picture of Pocahontas he used as a model for his picture of Lady Rebecca . Some say It has similarity to the Sedgeford portrait. 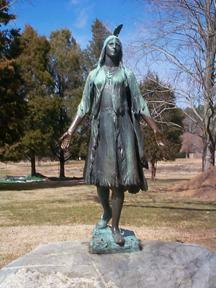 Pocahontas is kidnapped 1612 and held for ransom. 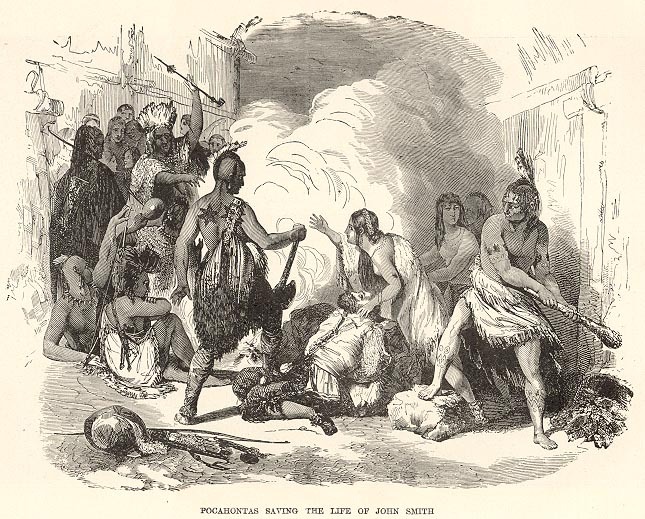 He father Powhatan paid but she was not released. Notwithstanding all these passages, when inconstant fortune turned our peace to war, this tender virgin would still not spare to dare to visit us, and by her our jars have been oft appeased, and our wants still supplied; were it the policy of her father thus to employ her, or the ordinance of God thus to make her his instrument, or her extraordinary affection to our nation, I know not: but of this I am sure; whenher father with the utmost of his policy and power, sought to surprise me, having but eighteen with me, the dark night could not affright her from coming through the irksome woods, and with watered eyes gave me intelligence, with her best advice to escape his fury; which had he known, he had surely slain her. Who Shot JR ?Who was Jr? —-we don’t know yet who shot him but JR’s idenity is revealed .